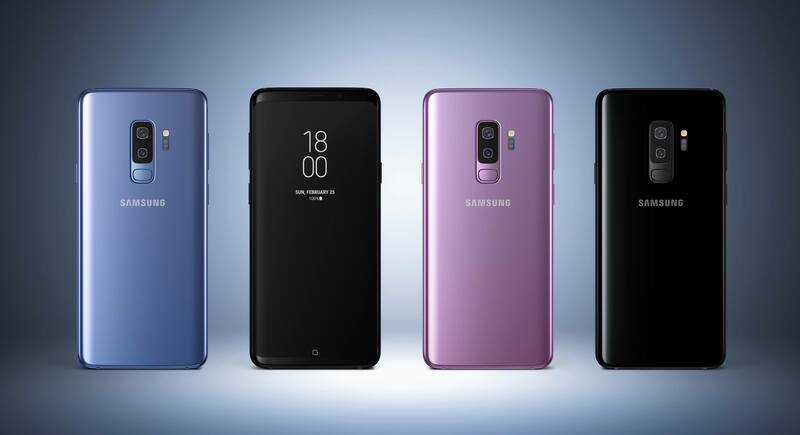 After months of speculation, leaks, and yesterday’s official launch video, Samsung has finally unveiled its Galaxy S9 flagships at Mobile World Congress. Samsung’s head of IT and Mobile Communications division, DJ Koh, took to the stage and made his way through the history of phones, mentioning his firm’s invention of the phablet, before revealing the Galaxy S9 and S9 Plus. We already knew that the S9 handsets would come with similar designs to their predecessors, and this was confirmed at the event. Samsung did say, however, that the full-screen Infinity display “for the social generation” has been refined, and the company couldn’t resist a dig at rival Apple by mentioning the lack of a notch and presence of a fingerprint scanner, which has been moved below the camera for easier reach—no in-screen technology for Samsung, yet. Both phones’ screens have the same 18.5:9 ratios, curved sides, and glass front and backs as the S8, along with the same Super AMOLED panels with 2960 x 1440 resolutions, though they are now brighter. The standard S9 measures 5.8 inches and comes with a single rear camera, while the S9+ comes in at 6.2 inches with a dual camera setup. Samsung has pushed the S9s’ cameras as their standout feature, calling them “reimagined” in its ads. Its recent flagships are excellent when it comes to low-light photography, and it looks as if the S9s will excel in this area. Samsung says its “most ground-breaking camera yet” is inspired by the human eye – the 12MP wide-angle camera fitted to both models can automatically switch between a f/1.5 aperture to f/2.4 based on lighting conditions, though it cannot be set to values in between when using manual mode. Additionally, the camera can process 4 times more image data than before to minimize noise and offer clearer low-light images. A Slow-mo shooting mode at 960 fps (at 720p resolution), which we’ve seen in the Sony Xperia, is available for creating 6-second clips or up to 20 scenes in longer videos. There’s also autocapture, which allows users to select an area within a screen that automatically activates slo-mo when it detects movement. You can even set a slo-mo video on the phones’ lock screen. These features are available on both handsets. Much like Apple’s Animojis, Samsung’s AR emoji feature lets users create lookalike avatars that can also be personalized. These are able to mirror expressions and users can add voice messages. Samsung says the emojis can be shared on all phones and via third-party apps, and thanks to a partnership with Disney, users can turn themselves into Mickey Mouse or members of The Incredibles. Despite not being universally loved, Bixby hasn't gone away. S9 owners can use the AI to access features such as live language translation and logging the nutritional information of food just by pointing the camera at it. The S9s also boast AKG-tuned Dolby Atmos immersive 3D sound through the dual speakers, and they still come with headphone jacks. Unlocked, the S9 will cost $719.99 and the S9+ will be $839.99. They will be available for preorder in the next few hours and launch on March 16. Buyers get the choice of Midnight Black, Titanium Gray, Coral Blue, and Lilac Purple color options.